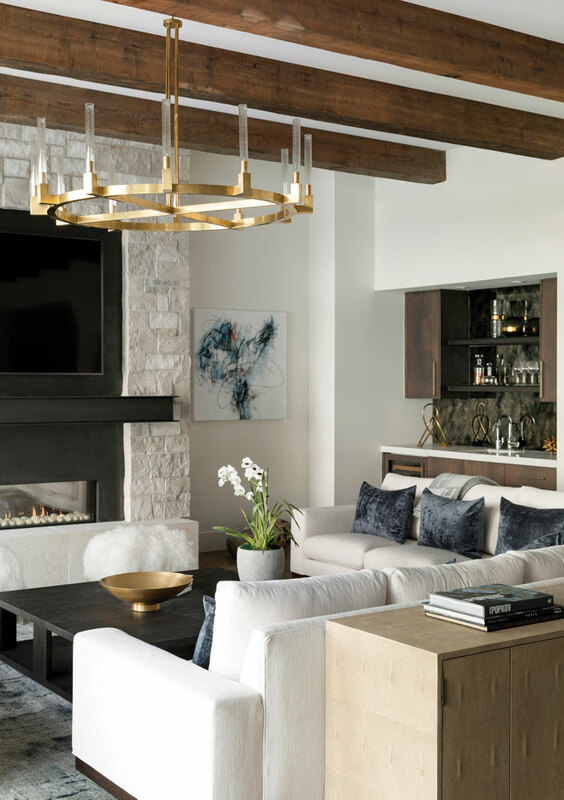 After living in several homes on Lake Minnetonka, and with one daughter off to college and the other in high school, this couple decided it was time to build their dream home. 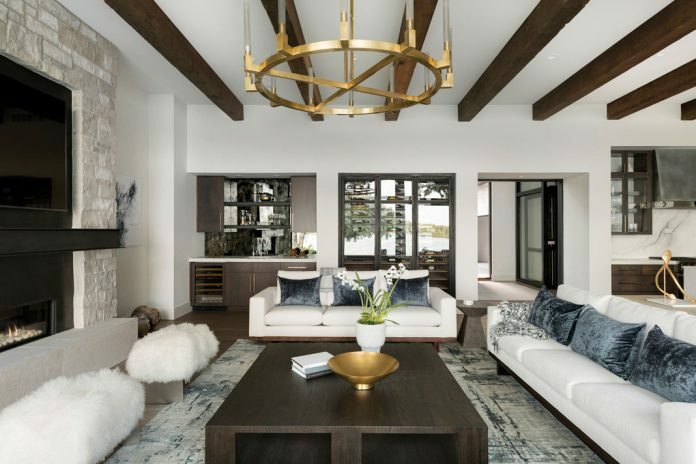 With a lifestyle long oriented around the lake, they selected a site on Maxwell Bay for the 7,812-square-foot home in Orono. 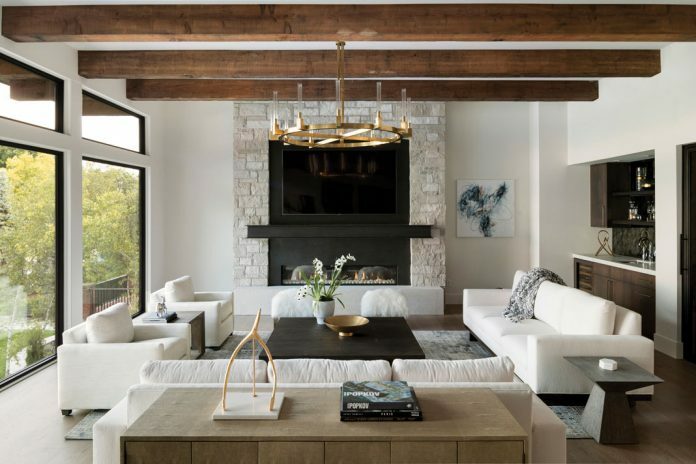 They asked architect Peter Eskuche of Eskuche Associates to design a singular lake home combining a modern aesthetic with rustic materials in a nod to the natural setting. 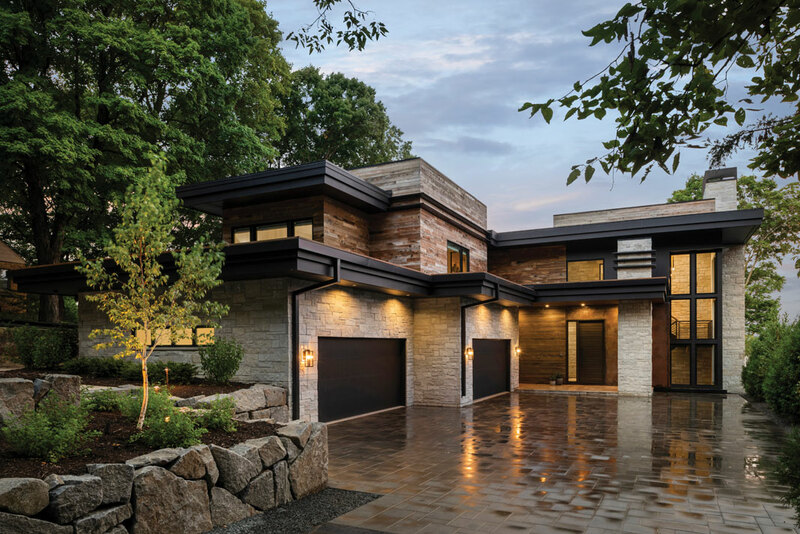 “We ended up building a house we call ‘mountain modern,’” says Sven Gustafson, president and CEO of Stonewood, LLC. 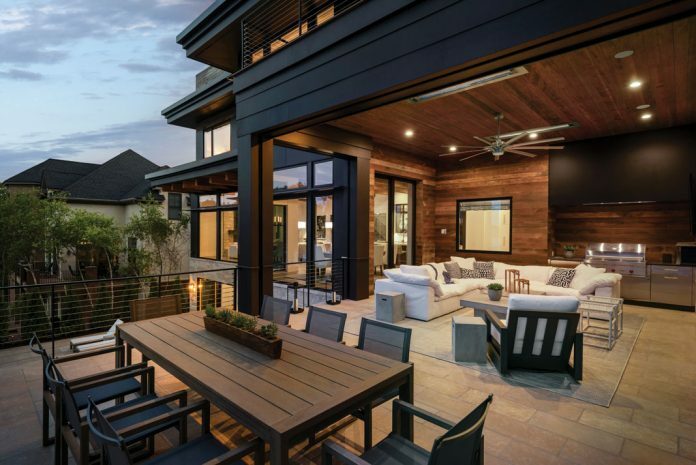 The home features modern lines and a low-pitch roof, as well as reclaimed barn-wood siding and accents of cor-ten steel and other dark metals. 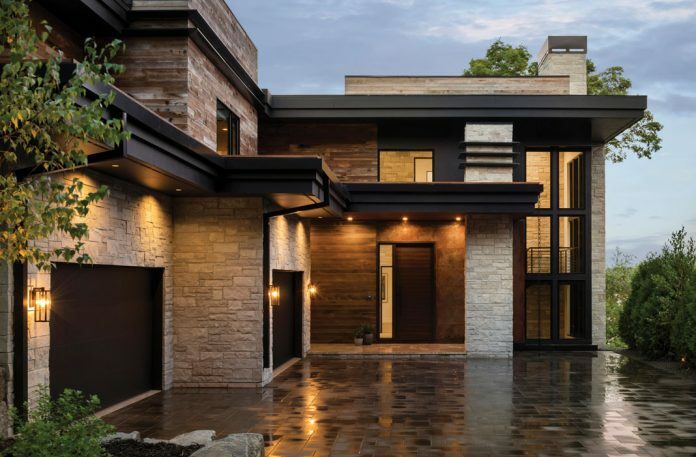 An imposing 10-foot-tall door greets visitors and opens into spaces of metal, glass, and wood, complemented by reclaimed timbers and stone accents. A stone-clad wall bisects the home side to side, with steel-framed openings from the foyer to the living spaces. 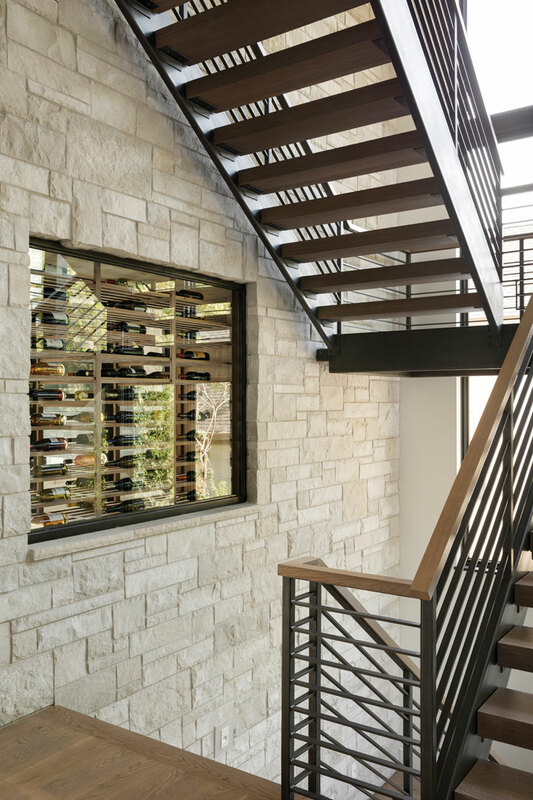 Visible through the foyer is a steel and glass wine cellar in the gathering room that also functions as an art piece. 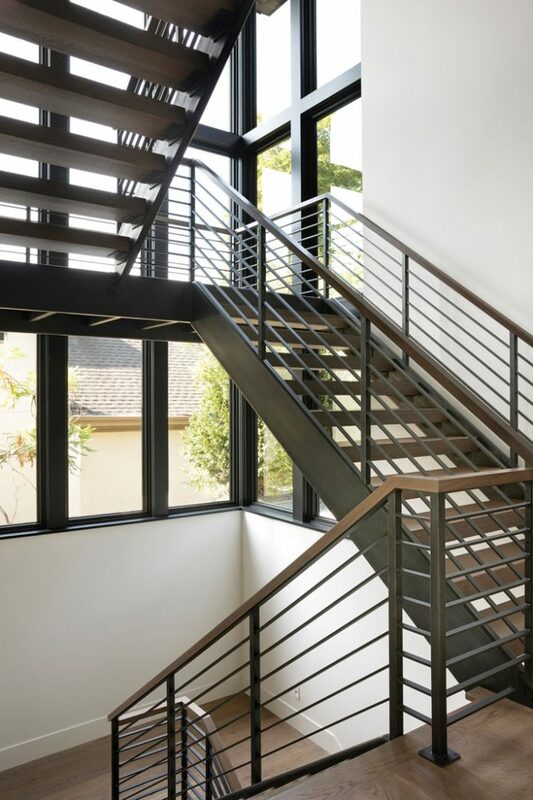 A steel staircase with thick wood treads connects the home’s three levels. A glass and steel elevator adds aging-in-place convenience. 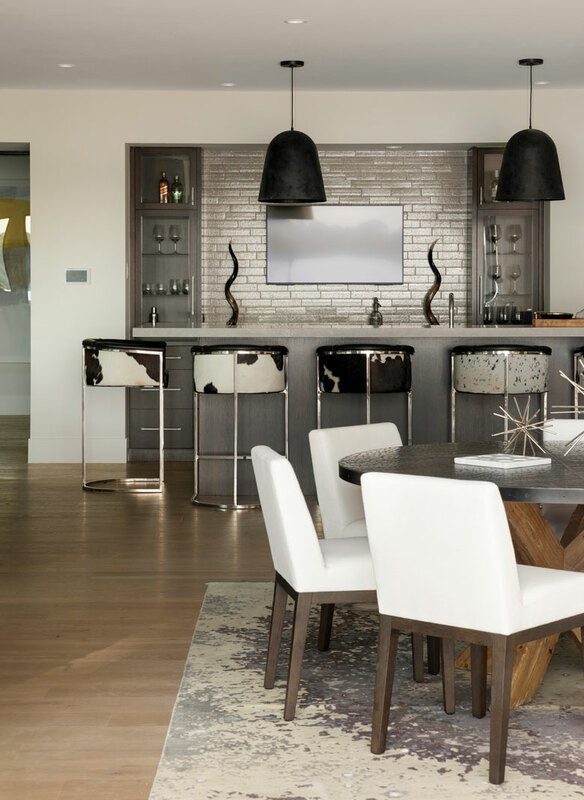 In the kitchen, which is open to the dining and gathering spaces, custom cabinets are brown-stained, vertical grain, clear oak. Marble countertops include the waterfall on the kitchen island. 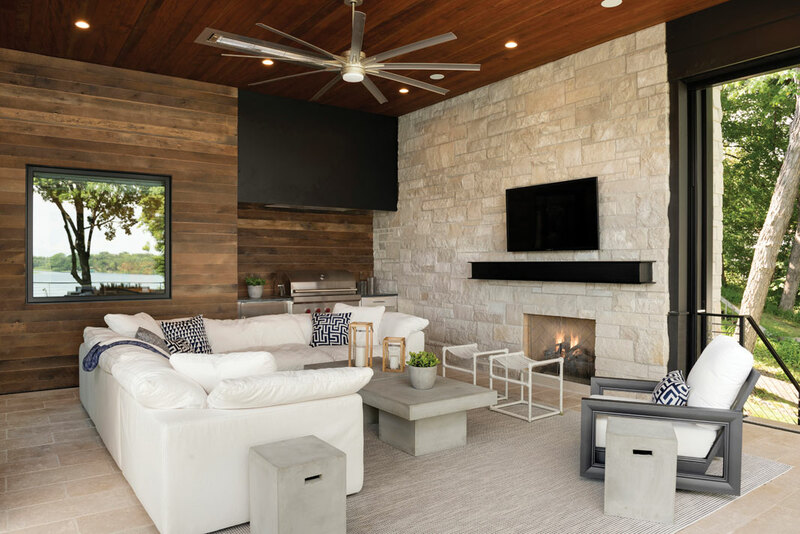 Sliding glass doors open from the kitchen to a convertible porch, which has a wood-burning fireplace, infrared heaters in the ceiling, outdoor kitchen with grill, and automated screens and vinyl shades for nearly year-round outdoor living. Upstairs, the daughters have their own rooms and private baths. The master suite includes a fireplace, and glass door opening onto a deck with a gas fireplace. The master bath has stone vanities and a glass shower. 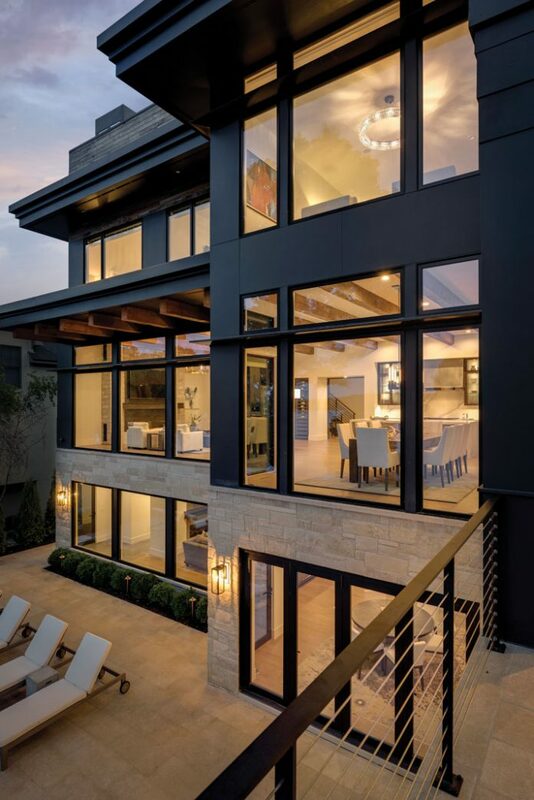 On the lower level of the house are a fitness room, bath with sauna, guest suite, and linear fireplace with blackened steel surround and floor-to-ceiling Cambria wall. A multipart glass Marvin door opens to the pool deck, which overlooks the lake.